Description: Perfect for cheering on your favorite team! 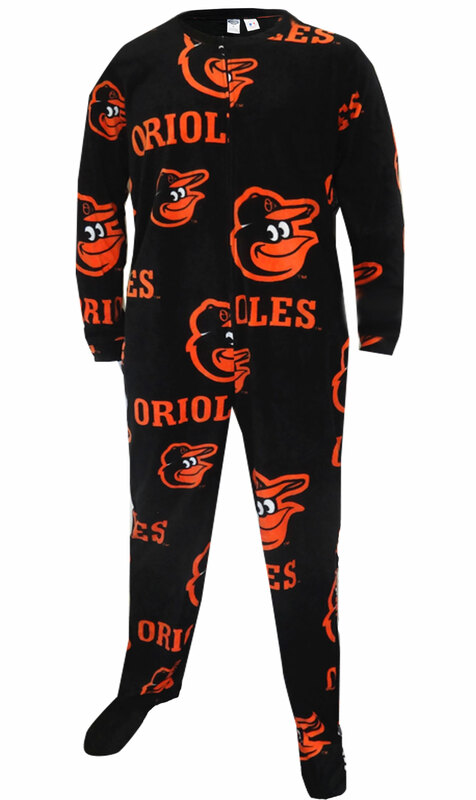 This cozy microfleece footie pajama for men features the classic Baltimore Orioles logo on a black background. Pajama is machine washable and has two pockets, as well as gripper bottoms on the feet. These jammies are totally awesome! Generous sizing. My husband loves his onesis. Fit it perfectly , he wears it almost everyday.